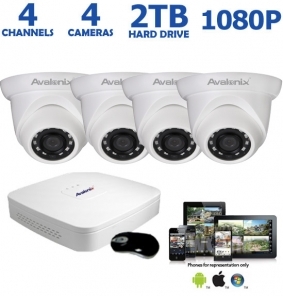 This 4 dome camera IP system is designed for easy setup no matter where you are. Wire the 1080P dome cameras directly to the NVR or configure it to record cameras from a remote network though the cloud. 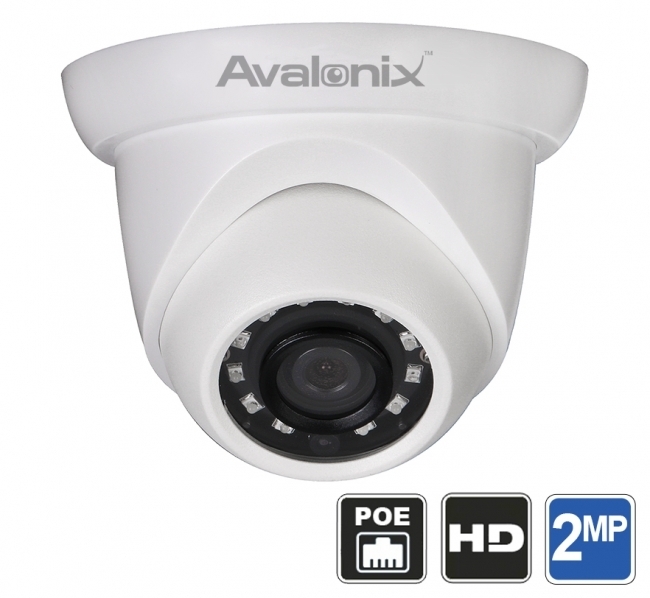 With Power over Ethernet (PoE) ports built in to the NVR there is no need to run additional lines to power the cameras. After you mount the cameras just plug your Ethernet cable into the back of the NVR, then into each camera, power on the NVR, and start monitoring! 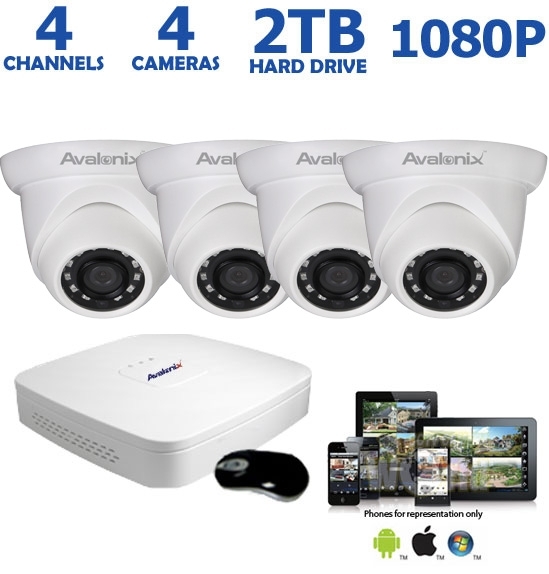 This indoor/outdoor IP67 weather-proof rated, vandal proof dome designed, 4 channel IP Surveillance System will record 1080p real-time footage for more than a week without overwriting old footage. 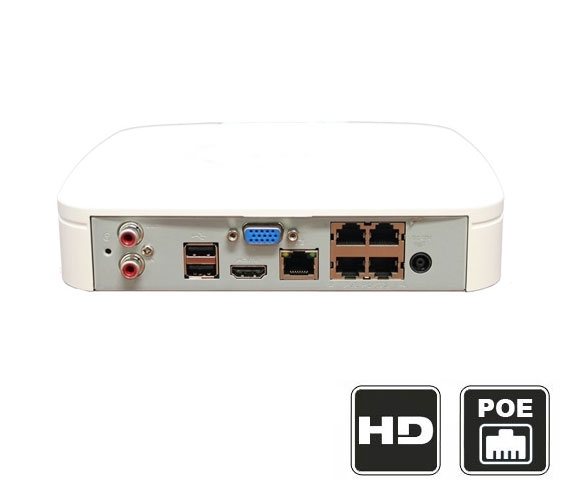 With 4 integrated Power over Ethernet (PoE) ports the NVR installation and setup is easy. One CAT5 cable per camera will both power and transmit data up to 300 feet without a repeater. You'll also see up to 66ft in the dark thanks to the night vision provided by the infrared LED's on the camera. View at home or on the go with our app.